Improve your health and get fit with whey protein. Consume according to instructions given on the product or advised by your physician. 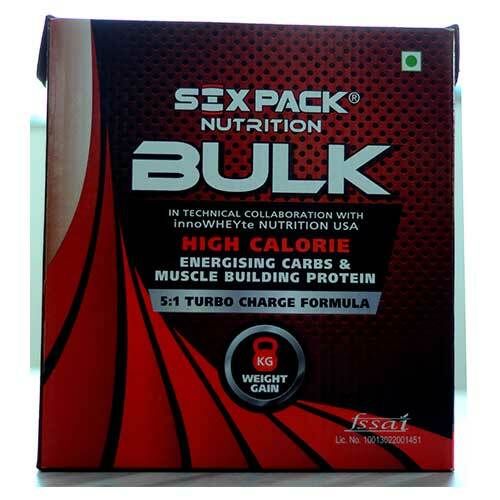 SixPack Nutrition Bulk gain is a rapid gain formula with an optimum combination of carbohydrates and protein in the ratio 5:1. 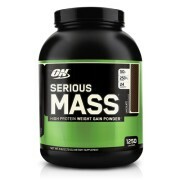 The formula comprises of a long release protein blend and is loaded with 11 essential vitamins. During strenuous physical activity enormous amounts of vitamins are depleted by the body, ensuring a proper balance of these vitamins in the body enhances the effectiveness of the workout. Directions of use: Add 1 scoop of product to a Blender filled with 200-250ml of water or your favorite beverage, then add 1-2 ice cubes & blend for 30-60 second. 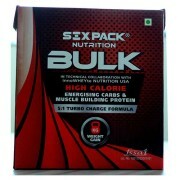 Add 3 scoops (90 gm) of Six Pack Nutrition bulk to 200 ml of cold milk and mix until completely dissolved. 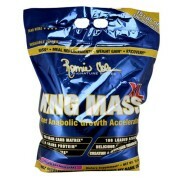 Bulk also mixes well with water. To take things a notch higher, add some nuts, peanut butter, ice cream or fruit chunks with your bulk to give it a higher calorie boost. 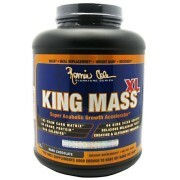 Have it as a post-workout supplement for best results and maximum mass gain.